Dear Auburn, You HAVE to win this game. Last year, Auburn swept Georgia in the regular season for the first time since 1985-1986. Tonight, they’ll look to do it in consecutive seasons. 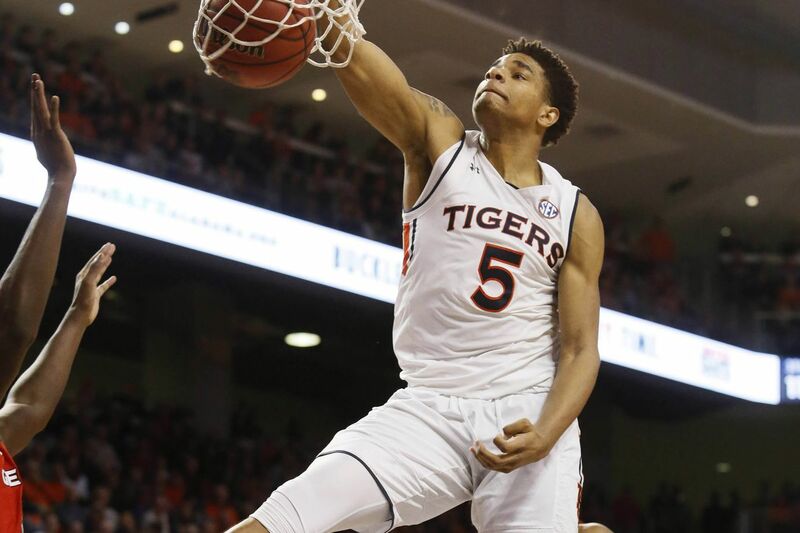 Auburn looks to bounce back from a blowout loss at Kentucky when they take on the Georgia Bulldogs in Athens at 8PM tonight. This is a game that Auburn CANNOT afford to lose as the Bulldogs sit at 111 in the NET rankings but the Tigers are going to need a collective effort tonight to pull this game off. Georgia’s only SEC win came way back on January 9th at home against Vanderbilt. They’ve lost 12 of their last 13 games beginning with the Auburn game back on January 12th. They beat Texas in the SEC/Big 12 Challenge for their only win since that Vandy game way back in early January. Looking at the statistics, the Bulldogs come into tonight’s game averaging 73.8 points a game while giving up 75. Nicolas Claxton (#33) is the teams leader in points (12.7), rebounds (8.9), blocks (2.4), assists (2), and steals (1.1) per game. He had 15 points and 6 blocks in the team’s first matchup in Auburn. In a lost season for Georgia, Claxton has had a tremendous sophomore season. Next we have (#20) Rayshaun Hammond, 2nd on the team in a couple of categories including points (12.6) and rebounds (6.3), He’s also a 36.6% 3-point shooter on the season and scored 16 in their loss to Ole Miss on Saturday. In the first game with Auburn, Hammonds had 9 points and 10 rebounds. Junior guard Tyree Crump (#4) is as close to being a double digit scorer without being one, averaging 9.9 points a game, and shoots 37.9% from 3. Crump had 14 points against Auburn earlier this season. In the paint, senior forward (#34) Derek Ogbeide is averaging 9.7 points a game. Auburn held Ogbeide to just 4 points in 16 minutes earlier this year. Also, don’t forget about William “Turtle” Jackson (#0) who scored his season high 16 points against Auburn earlier this year and made 4 3-pointers in that game. He’s only averaging 5.7 points a game this year but he’s had success against Auburn in the past. Perhaps Georgia’s hottest player right now is junior guard (#2) Jordan Harris. Harris is averaging 6.6 points a game but has scored at least 10 points in 5 straight games including a career-high 15 points at Ole Miss. Harris leads Georgia in 3-point percentage at 39.5%. Austin Wiley is doubtful for tonight’s game so it looks like Auburn will go 9 deep tonight. This means that Anfernee McLemore and Horace Spencer will have to play more minutes tonight and be cognizant of not getting into foul trouble. Tonight is a homecoming for several Auburn players. Bryce Brown will play his final collegiate game in his home state this evening. The Stone Mountain native scored just 6 points at Kentucky and he didn’t play in the game at Georgia last year and I think this is a game he gets going again. We mentioned this in the preview Saturday but Brown is now tied for 6th all-time in 3-pointers made by SEC players with Florida’s Kenny Boynton at 333 and he’ll move into 5th place with 2 3s tonight. Bryce is shooting 41.3% from 3-point range this season and scored 15 in the first matchup with Georgia. Jared Harper, a Mableton native, scored 24 points in Athens last year and like Brown, he’s coming off a tough game against Kentucky. Playing a team from his home state that didn’t recruit him may be what the doctor ordered for him though. Harper is shooting 39.3% from 3-point range this year and led Auburn in scoring with 22 points against Georgia on January 12th. Okeke, an Atlanta native, wasn’t afraid of the Rupp Arena spotlight and had an outstanding 1st half against Kentucky to try and keep the Tigers in the game. He led Auburn with 14 points against Kentucky Saturday and while he scored just 4 points in the first matchup, he made his 1 field goal the most of it as seen in the video above. Okeke has become more aggressive in the past 6 weeks since that game and I think he’ll score a few more than 4 tonight. Another Tiger playing well right now is McLemore, a native of Warwick. His scoring average is up to 7.1 points a game and scored 13 and 10 points last week while accumulating 6 and 8 rebounds respectively. He was also 4-8 from 3-point range last week. With Wiley’s injury, McLemore’s presence is now more important than ever as the calendar is about to flip to March. I’m a bit nervous about this game solely for the fact that it’s not at Auburn Arena. Georgia’s been close on several occasions and you have to think they’re going to pull one of these close games out at some point. My hope is that tonight isn’t the night but it wouldn’t completely surprise me. But if you’re Auburn, don’t lose this game. Just don’t do it! Please! I’ve been picking against Auburn on the road lately with mixed results but ultimately, this is a game that Auburn should win. They’re more talented, they have more to play for and with 4 of Auburn’s rotation players playing in their home state, there’s no need for extra motivation. Auburn gets this done but it’s not going to be easy.